Non-small cell lung cancer (NSCLC) is the major cause of cancer-related deaths in the USA and worldwide. Most patients present with advanced disease, and treatment options for these patients are generally limited to platinum-based chemotherapy and a few targeted therapies. Targeted agents currently in use for NSCLC inhibit oncogenic receptor tyrosine kinase pathways, such as the epidermal growth factor receptor (EGFR) pathway. While current EGFR-targeted agents, including erlotinib and gefitinib, may result in dramatic responses, they demonstrate efficacy in only a fraction of patients, and resistance to these agents frequently develops. In order to select patients most likely to benefit from blockade of EGFR pathways, investigators have focused on identifying molecular correlates of response to anti-EGFR therapy. 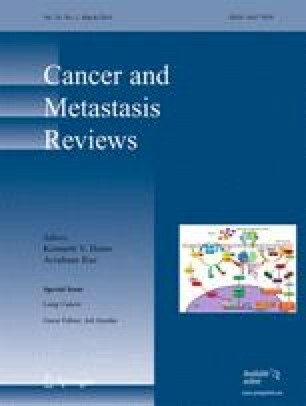 New strategies to minimize the risk of resistance to EGFR inhibition have been employed in the development of next-generation EGFR tyrosine kinase inhibitors, such as PF00299804 and BIBW 2992; these include irreversibility of target binding, inhibition of multiple EGFR family receptors, and/or simultaneous inhibition of EGFR and other oncogenic pathways. This work was supported by Boehringer Ingelheim Pharmaceuticals, Inc (BIPI). Additional support was provided by grants from the Early Detection Research Network and the University of Texas SPORE for Lung Cancer, National Cancer Agency, Bethesda, MD, USA. Writing and editorial assistance was provided by Staci Deaton, PhD, of MedErgy HealthGroup. Funding for medical and editorial assistance was provided by BIPI. The author meets criteria for authorship as recommended by the International Committee of Medical Journal Editors (ICMJE) and fully accepts responsibility for all content and editorial decisions and was involved at all stages of manuscript development. The author received no compensation related to the development of the manuscript. The author is a paid consultant/lecturer for AstraZeneca PLC and Genentech Ltd.
World Health Organization. (2008). Fact sheet no. 310: the top ten causes of death. November 2008. http://www.who.int/mediacentre/factsheets/fs310_2008.pdf. Accessed 8 Oct 2009. National Comprehensive Cancer Network. (2009). NCCN Clinical Practice Guidelines in Oncology™: Non-Small Cell Lung Cancer V.1.2010. http://www.nccn.org/professionals/physician_gls/PDF/nscl.pdf. Accessed 15 Dec 2009. DxS Diagnostic Innovations. (2009). DxS EGFR mutation test kit: for the detection of 29 mutations in the epidermal growth factor receptor (EGFR) gene. Instructions for use. Product codes: EG-03 and EG-04. Instructions Version: RU001b. Date of Revision: July 2009. http://www.dxsdiagnostics.com/Site/PDF/CMP/RUO-EGFR29/IFU-EGFR29-RUO-US.pdf. Accessed 28 Dec 2009. Merck KGaA. (2009). News release. November 19, 2009. CHMP opinion for erbitux in advanced non-small cell lung cancer. http://news.merck.de/N/0/95F233DCB18F57F1C1257673003661FC/$File/CHMP_neg_En.pdf. Accessed 15 Dec 2009.